The Rottefella NTN Freedom telemark bindings bring the benefits of NTN to a lightweight binding setup that enables you to tour deep into the backcountry for fresh powder. NTN power; improved uphill performance Like it or not, NTN is the way of the future. NTN was developed by the Norwegian manufacture Rotefella and brought to market around 2007. Eight years later, the bugs have been worked out and NTN is slowly but surely pushing the classic duckbill out of the market. There's a reason for this transition in that NTN systems offer a safety release, brakes, and step-in convenience. If you're replacing your old 75mm duckbill boots, consider swapping your whole setup to NTN. 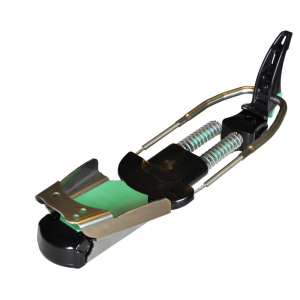 The Rotefella Freeride was the first NTN binding to hit the market, and remains the standard of NTN bindings. 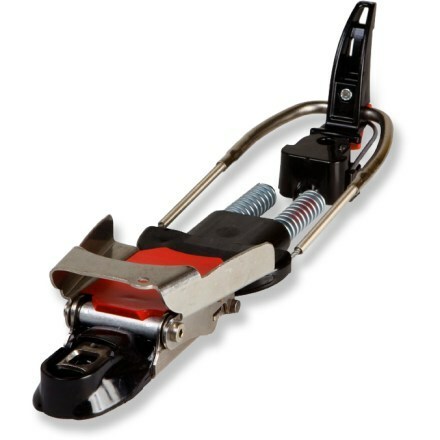 The binding's revolutionary toe clamp and boot's "duckbutt" provide unbeatable torsional rigidity for the best edge control. Where the Freeride left backcountry users a little disappointed in uphill performance, the Freedom allows you to have the best of both worlds. At 1500 grams per pair, the Freedom trims about 25% of the weight from the Freeride for lighter, ascents. A full 60 degree range of motion in tour mode and two climbing bails make getting into the backountry even easier. Additionally, where 75mm telemark touring setups often leave skiers feeling like they are on their tiptoes when skinning, the pivot point on the Freedoms is as close to the foot as possible. Despite the improved uphill performance, downhill power is not compromised with the Freedom. 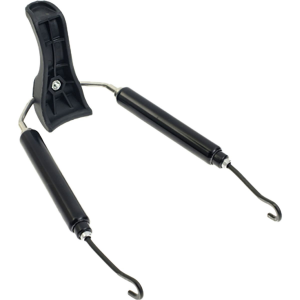 The Freedom provides incredible lateral stiffness, instant power, and adjustable spring tension. The compromise comes in binding interchangeability. 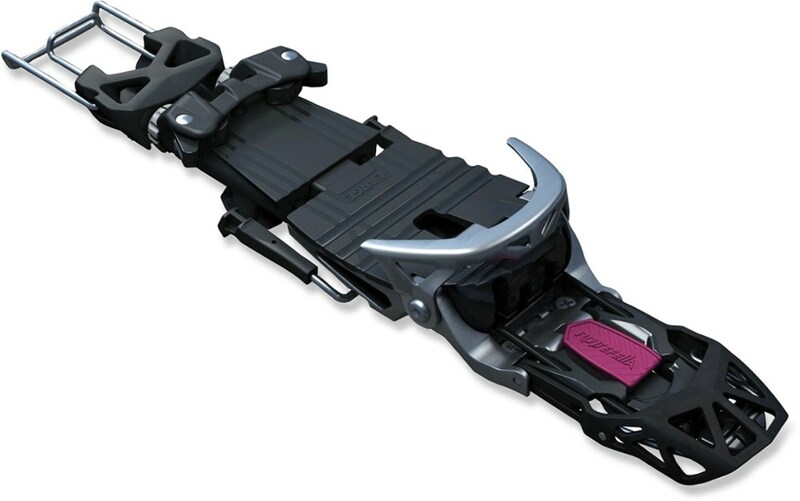 Where the FreeRIDE binding can be quickly swapped to any ski with a base kit, the Freedom mounts directly to the ski and cannot be quickly swapped between different skis. Features & Benefits a 110mm brakes. a Easy entry and exit while standing, no need to kneel down. a 35mm and 65mm heel elevators. a 60 degrees of nearly pivot free range. a Increased lateral stability, edge control, and adjustable forward flex. a Lateral release function. a Convenient symmetrical bindings - no left or right.